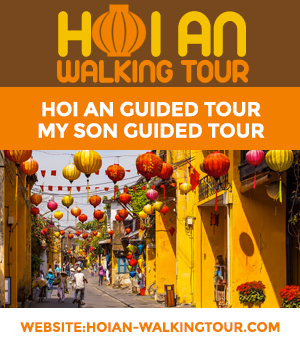 1) The first thing to know about Hoi An is its commission system. Any recommendations received from your hotel, tour guide, etc… (except from this website) will be followed by a commission kickback from the shop you went… Commission can be from 10 % to 50% and it’s the client who will pay the difference unknowingly. My first advice is to never mention the name of your hotel, of your tour guide if you are asked when coming in the shop, you will avoid paying more for the same quality. 2) Negotiation is deeply into the Vietnamese culture and an obligatory step in purchasing anything but without going too far. When it comes to measuring there are always 2 makers ( shoemaker or tailor), one for the low prices and one for the higher standards. If you negotiate too much, you will not have the same finishing’s and the materials used will be of lower quality. You will lose more than the euros gained. 3) For clothes, especially when it comes to suits and shirts, some use paper for the collars so that it holds in place correctly but after after the first wash, the shirt won’t be fit for purpose. Insist on good quality as a priority. 4) For handbags, Most of the time the zippers are made of platic for cost savings and these won’t last long. 2 or 3 shops use metal zippers and therefore better quality. 5) For shoes, always check the soles, it is a big issue in Hoi An, they use very bad quality glue which never last long. Some stitch the soles for better quality. 6) Foresee a bit of time for touch-ups. Rarely will you get your clothes, shoes or bags right the first time, touch ups will have to be done in 95% of cases. So leave a good margin of time in case of errors.